Meet Joe. Joe lives in a big, colorless mansion. Meet José. José lives in a colorful shack. Joe and José are neighbors with a big divide. The creek that runs between their homes doesn't stop them from digging deep to find their fortunes. This new two-man play is a wild allegory that is seriously funny. Written by Bernardo Cubria, this absurd comedy was a semifinalist at the 2017 Eugene O'Neil Playwrights Conference. This production will be the South East premiere. 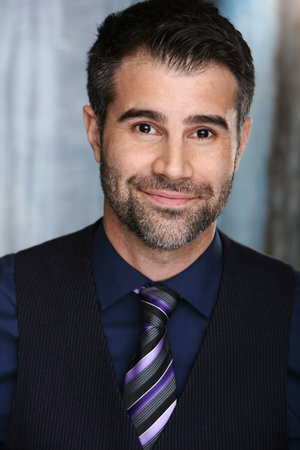 Bernardo Cubría was recently nominated for best playwright for the Stage Raw Awards, The Ovation Awards and The Los Angeles Drama Critics Circle Awards for his play The Giant Void In My Soul. He was the co-writer of the short Spanish Class that won Best Comedy at The NBC Universal Shorts Awards in 2018. 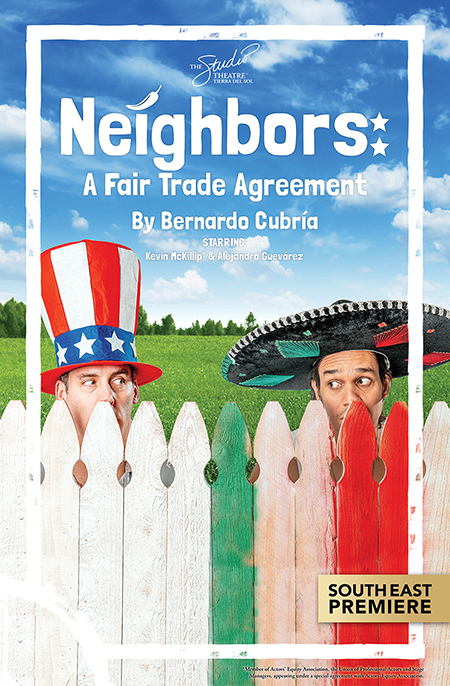 His play, Neighbors: A Fair Trade Agreement was a Semi-Finalist for the O'Neil in 2017. It received a world premiere at INTAR in NYC in the fall of 2017. In 2016, The Judgment of Fools received three critically acclaimed productions in NYC, LA, and Houston, TX. The Redhead is Coming was featured at F*ckfest at The Brick in NYC in 2015. As an actor, he has performed at theatres including The Public, Rattlestick, and INTAR. TV & Film Credits include: NCIS:LA, Lucifer, Criminal Minds, Coco.